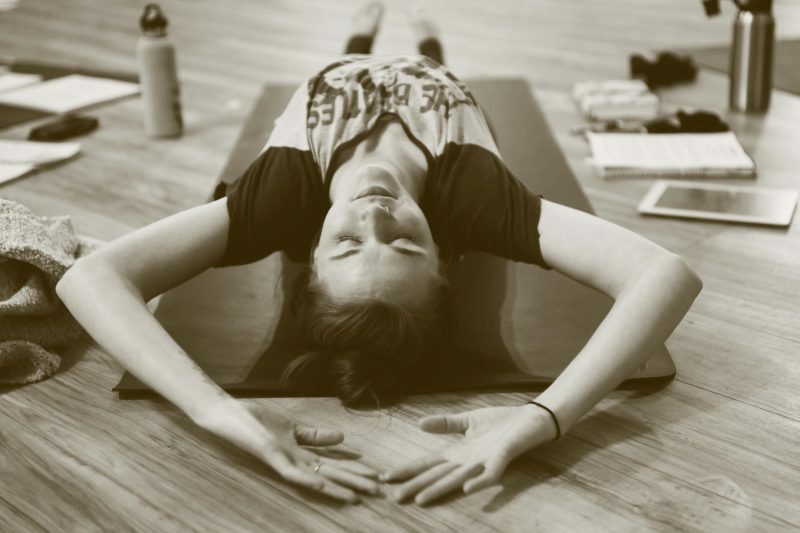 As a mental health professional, there is growing need to help professionals like myself learn more about this idea of mind/body/spirit connectedness and the implications it can have on our practice. We are in a field that constantly harps on this idea of self-care, and yet often does little to implement it. And why? Why do we know that self-care is so important, and yet often have a difficult time getting policy started or amended that allows for greater self care practices. Also, why do we continually teach our clients about this importance of self-care, and yet are not really sure how to adequately educate them about it? We as social workers often have this intuitive sense about the importance of mind/body/spirit connectedness but we don’t always know how to get that sense of importance across. This is where the ELEVATE Training comes in. 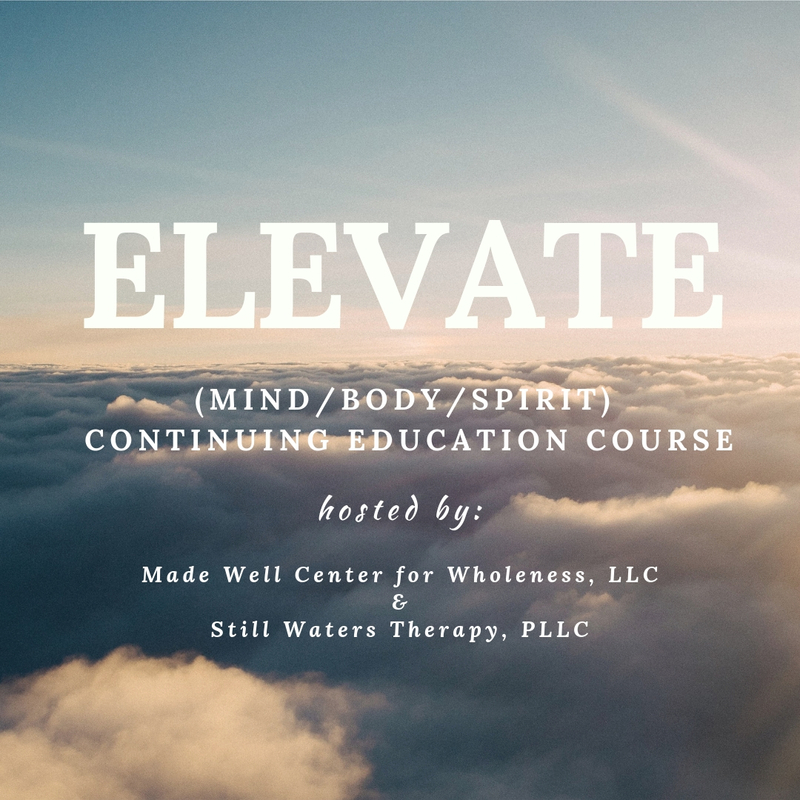 Made Well Center for Wholeness and Still Waters Therapy, PLLC are teaming up to bring you a continuing education course geared at just that. We want to educate you on the neuroscience behind brain and body connections, as well as provide you with practical activities and implications for yourself and your clients, and provide ample opportunities for self-care throughout the training. This training will last from 9am-1:30pm and provide you with 4 CEU’s endorsed by NASW. We will move through each segment (mind, body, & spirit), and provide you with practical applications at the end of each segment to use with your clients. You can register by clicking here, and you may also pay through that eventbrite link or by sending $65 to paypal.me/madewellcenter . We would love to have you join us! Upon signing up, you’ll receive a form to fill out that will help us provide you the best possible training we can. At the end of the course you will receive a certificate of completion to prove engagement in this course. Paying for this course includes: materials for education, supplies for break out self care time, yoga instruction by certified trainer, healthy snacks/meals, and 4 CEU’s at the end of your time. For further questions, comments, or concerns, please email: buffy@madewellcenter.org.